I’m Tired of Waiting: Best Movies of 2011! I’ve been kind of annoyed with my movie-watching schedule, particularly that I still need to see plenty of good films. So you know what? I’m going to make my list right now! Here are my top 5 movies of 2011! Now this list is subject to update, because there are still plenty of good movies I haven’t seen (The Help, Extremely Loud and Incredibly Close, Tinker Tailor Soldier Spy). I’ll try to watch all of these before the Oscars come out in February 26th. But here are my favorite movies of the year. The story is about how Billy Beane (Brad Pitt) turned the baseball system around and actually turned the Oakland A’s into actual athletes. A brilliant script, fantastic acting (from both Brad Pitt and Jonah Hill), and a must see for both movie and sports maniacs alike. Martin Scorsese’s ode to George Méliès based off a visually superb, innovative children’s book was a movie for all movie fans alike. It was spell-binding, imaginative, and most of all, spectacular. A mix between E. T. and Saving Private Ryan, War Horse was a film that warmed your heart. The story told World War I though the eyes of a horse, and his owner’s struggle to find him. 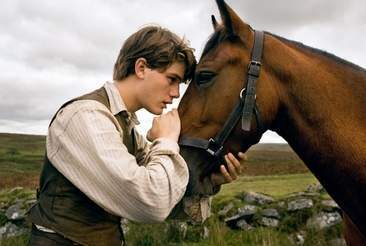 Brilliantly directed by master Steven Spielberg, War Horse is one of the finest movies of the year. Like Hugo, The Artist looked back at the old days of film through the eyes of successful silent film star George Valentin in the transition to talkies. An amazing use of camera work and music, plus with tremendous acting relying not on sound but emotions, The Artist reminds you why you love movies. The strongest film of the year was a mix between drama and comedy that told the story of Matt King (George Clooney), one of the descendants of the original white settlers in Hawaii. As Matt is trying to organize a deal to sell his ancestor’s land, he must deal with his dying wife and coping daughters. But as Matt discovers his wife is cheating on him, he tries to find the secret lover to tell him his wife will die. Funny, sad, and touching, the film was the best piece of cinema this year. And those are my picks! Feel free to comment below. Excellent list! I have yet to see your top 3, but Moneyball and Hugo were among my favorites, as well. 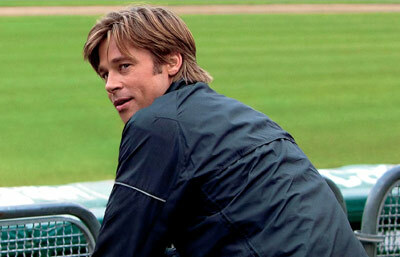 Moneyball and Hugo are both great films. I highly recomend all of these films, especially The Descendants. Great list! War Horse and The Artist were two of my favorites this year. And I definitely recommend Tinker Tailor Soldier Spy. I really want to see Tinker Tailor Soldier Spy. I think I’m seeing it next weekend. Great list. Hugo is still my number one though! I had to make the difficult pick of picking between the top four. I enjoyed all of the films though.